You might have noticed it’s getting a little close to the Crimbleton holiday period, which is nice, a week or two off work and food, drink, presents and family time for most of us. With this in mind I thought I’d just give a quick update on a few things. Don’t forget it’s the NottsType1 Xmas do at Fat Cat’s in the city centre this coming Saturday (the 15th of December). If you happen to be the sort of person who uses Facebook then you can tell us you’re coming here. If not just roll up and start imbibing. There will be the customary blood tests at ten o’clock, highest BG wins, plus we’ll probably have some kind of long drawn out discussion about the merits of drinking and bolusing. If you went along you’ll know this already but last weekend was the inaugural-probably-to-be-Annual NottsType1 Quiz Night at the The Willow Tree Pub in West Bridgford. According to those who attended the night was a roaring success. Personally I think it may have been some kind of set up as Sam won and she doesn’t even live in Nottingham, however the night managed to raise us £158.00 which isn’t bad and may go some way to allowing us to continue to hold our meetings and events and frankly do the stuff we would like to do. Web-Monkey attended a pump clinic yesterday, not as much fun as it sounds! The topic was festive eating and it mainly consisted of lots of Type 1’s guessing how much carbohydrate was in Christmassy fare like mince pies, etc. A useful exercise and handy because it meant Web-Monkey could invite all those people to Saturday’s knees up too so we might just get some unfamiliar faces turning up. In case I’m too lazy to write anything else before the 25th, have a Happy Christmas. See you all on Saturday. Boots The Chemist…and whatever else they do these days! When I have a shower in the morning I tend to leave my insulin pump in my dressing gown pocket and then plug myself back in as soon as I’m dry and have something to clip it on to again. You may wonder why I’m telling you this, don’t worry hopefully it’ll become more obvious as the events of today unfold! I was busy doing some important stuff at work this morning and I’d not bothered making any lunch as I thought I’d have a quick trip away from my computer to Boots in town to grab something. Because it had been busy I hadn’t done a blood test since breakfast time. So, one o’clock arrived and I headed out in to the frankly unpleasant weather, swiftly walking the five minutes or so in to try and avoid getting too damp. I got to Boots, picked a “”Delicious” Cheese & Pesto Pasta Salad”, a packet of healthy-ish crisps and a bottle of Diet Coke, then I headed over to the dental bit ’cause I need a new head on my electric toothbrush. I paid up and left heading in to the Victoria Centre to find somewhere to sit and have my lunch. First thing I did was look at the food I had bought to see how many carb’s I needed to wind up on my pump, I was a little upset to find that Boots have re-branded their “”Delicious” Cheese & Pesto Pasta Salad” so it doesn’t actually tell you what the carbohydrate content is. After searching all over the packet many times I resolved to guess at the contents and adjust after getting back to a computer that I could look it up on (Web-Monkey without his own smartphone – funny I know!). I did a blood test, as I always do before eating. I was a little surprised to find my BM was at 15.6mmol/l. “Hmm, that’s a little odd” I thought, that new bread must have a lot more carb’s in than it says on the packet. Anyway I wound up the CHO and hit the bolus button to which I was greeted by a “communication error” message. I cancelled out and tried it again and it did the same thing. Then I had one of those moments when you realise what the problem actually is. I patted myself down and realised that the reason I was getting a communication error was because my insulin pump was about two and a half miles away in my dressing gown pocket at home! I ran back to work, carrying my carbohydrate-camouflaging salad, crisps, drink and toothbrush heads, grabbed my keys from my bag, excused myself and ran to get the bus home. I got home in a little under fifteen minutes, which isn’t bad going, surprised Deanne who works from home on a Monday, plugged myself in and did a blood test, I’d dropped a little to 15mmol/l, which must have been a mix of the residual insulin and the running to get the bus. Gave Deanne a quick peck on the cheek and ran out the door again. Getting back to work I looked up the “”Delicious” Cheese & Pesto Pasta Salad”, (56 grams in case you’re interested), wound up the total on my pump and bolused as quickly as I could. Sadly after being unplugged for about six hours my blood sugar hasn’t yet normalised and I suspect if anything I’ll get a sudden drop at about six o’clock this evening. When I had sorted myself out to my own satisfaction I posted a message on the Boots UK Facebook page, and to give them their due they actually told me they would look in to a way of including all the details on the back of the packet, you can see my overly sarcastic posting and their responses here if you’re interested. Anyway, it was a stupid thing to do and closely aligned with last weeks stupidity of bringing my insulin to work ’cause I knew it would run out before the end of the day but forgetting to bring a cartridge in which to put said insulin! All in all I seem to be having a couple of slow brain weeks, I’m hoping it won’t last much longer! Today I am going to talk about something which nearly all of us Type 1 Diabetics have to endure, namely the discomfort that can be caused by eating with other people! You meet your friends at a nice restaurant, or even just a pub or café for a bite to eat, you exchange pleasantries, hug kiss and generally try to think of funny things to say, you settle down at your table then pore over the menu until everybody has decided who’s going to have the crab, lobster or chicken nuggets. The waiter sidles over and takes everybody’s orders. After twenty minutes and a couple of drinks you all breathe a sigh of relief as the food emerges from the kitchen, smelling like something you’d be quite happy to eat, of course the plates aren’t all brought out at the same time and invariably the last plate will be that of the Diabetic at the table. You make a random guess at the amount of carbohydrates contained in your aubergine surprise, obviously failing to take into account the spoonfulls of sugar in the sauce, you grab your blood test monitor out of your bag, unzip the little case, attempt to prime the jabber, realise you need to put a new cartridge in, scrabble about in your bag again until you find another one, replace it then stick a blood test stick in to the monitor, only for the monitor to error out with some unhelpful message like “E3” or “LoTemp” or some such. Finally you get it working, stick yourself and bleed on to the blood test stick. “Rubbish!” You go back in to your bag to find out your open packet of Jelly Babies has spilled and so you rub a couple of them on your trouser leg to get the fluff off before eating them. Finally you dial up the carbohydrate guestimate for what you’ve actually been served by the restaurant and inject/pump it in. You look up from your little world of Diabetes management and realise that at least one of your party has just finished a particularly amusing story concerning their trip to Beirut, another is just finishing their flambéed mushroom stroganoff and you’re just starting your meal. 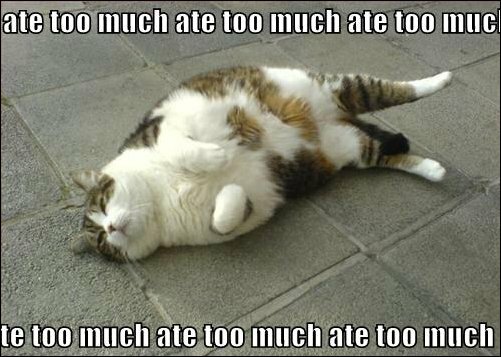 Such is the life of the pancreatically challenged! 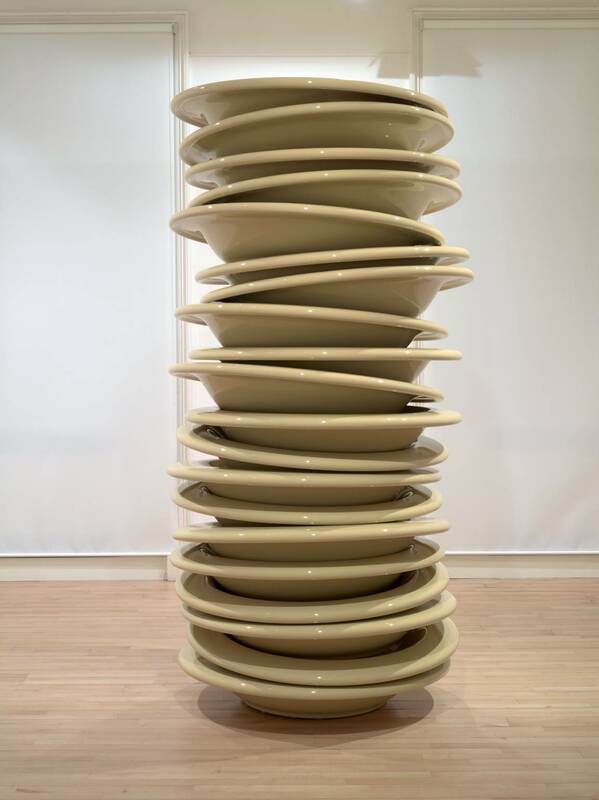 Of course this is a (possibly) exaggerated account of events as they often seem to occur but I’m sure I’m not the only one of us to always start eating after everybody else at the table. So what would I like to happen? Well I’m not (that) selfish so I’m not after making everybody else wait until I’m done before they start eating, for one thing their food would probably be cold. I guess the main thing I want is not to feel like I’m always playing catch up, to be fair I could probably overcome a few of these problems by being better prepared and checking the state of my kit before going out, etc. however I’m not that well organised and so that is unlikely to happen. What I would really like is not to have to think about it. “That’s never going to happen,” I hear you say but I’ve noticed a lot of articles on line recently about Continuous Glucose Monitors attached to insulin pumps and adjusting doses without interaction therefore I think it’s only a matter of time before my wish comes true and I’m able to just stick stuff in my mouth without having to faff about with little electronic devices. Come on scientists, you can do it. If not for me then at least for my poor wife and son who have to eat with me at least once a day and endure my complaining and then watch as I try to inhale my food to catch up. To them I offer my most sincere apologies and keep my fingers crossed that the boffins get this sorted sooner rather than later! If you are Diabetic then you’ll probably know what an HbA1C test is, if not then I’ll tell you now. HbA1C is a test which looks at the amount of Glycated Haemoglobin in your blood and returns a result which gives you an average blood sugar reading over a number of months. 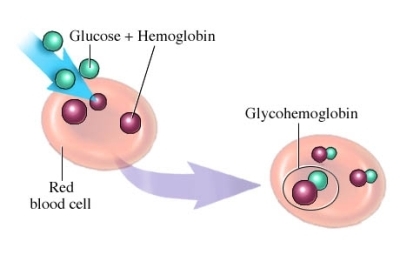 As far as I have been able to figure out the way it works is that when your body creates red blood cells they contain the amount of carbohydrate that your body has in it at the moment they were formed. Because red blood cells have a lifespan of around three months it means that a sample of your red blood cells will always tell you what the average reading has been over the last three months or so! For a Diabetic this is obviously important, the closer we can get to normal (between four and eight) the better our long term prospects will be, health wise! Anyway I went to have a blood test a couple of weeks back in order that my results would be ready in time for my doctors appointment on Monday of this week. I went along quite excited but unsure of what to expect because it is the first blood test I’ve had since really understanding how the Insulin Pump works and how best to use it. It was my first visit to the consultant since getting the pump so that was also a bit nerve racking. It was quite a good meeting, I asked a few questions and we discussed how it’s been going and then she let me know what my result was. For 2. it’ll be autumn over there when we go and so the temperatures should be between 30° and 24°, which is obviously a darned site hotter than it is over here, even in the middle of summer! ThereforeI’ll have to keep a close eye on my control and possibly drop my basal and meal rates depending on how I go. 3 is only really a problem if I do what I have done in the past and snack between meals, however I seem a lot less inclined to do that now I’m on an insulin pump as I know the slightest amount of carbohydrate can send me sky high, so I’m guessing I shouldn’t have too much of a problem as I just give myself more insulin if I’m eating more food. The difficult one of course is number 4. While I may not do the same things every day I do generally have a fairly standard list of things that I do, both inside and outside work, being on holiday is more like a weekend, only for a whole month or so. I guess we’ll have a routine of sorts as with a 2 year old child you can’t really help it but even so it’s not the same as being at home. Finally I have to do some forward planning which, frankly, I’m a bit rubbish at. For number 5 I have to make sure I have plenty of infusion sets + cannulas, insulin, blood test sticks and lancets, batteries for the pump, batteries for the monitor and to be honest probably loads of other things I’ve forgotten about at the moment. This means I need to contact and probably have an appointment with my GPs surgery in order that they will allow me to order, e.g. twice the number of things to normal, as well as ordering new stuff from Accu-Chek in enough time to actually have them arrive (when no one is in the house as per normal) then have enough chance to go to the post office collection depot to pick the stuff up which was delivered while there was no one at home because we both work…as I would imagine is the case for most people. “Not too much of a problem” you think (see I’m doing it again) but did I mention that I’m not a good organiser and only tend to remember these sort of things at the last minute. On the bright side I’ve added an appointment to my calendar at work which will keep reminding me so hopefully that’ll be enough to actually get me to remember to make a call to Accu-Chek and an appointment with the doctors! Anyway, aside for all that and any worries I might have about travelling with a two year old and adjusting my regime for foreign climes I’m actually pretty excited really, the other two times I’ve visited Perth have been brilliant, admittedly one was to get married and the other was to attend a wedding so you’d expect it to be relatively cheerful, but even so I feel a lot more confident about my Diabetes these days and hope that it isn’t a misplaced sense of confidence! 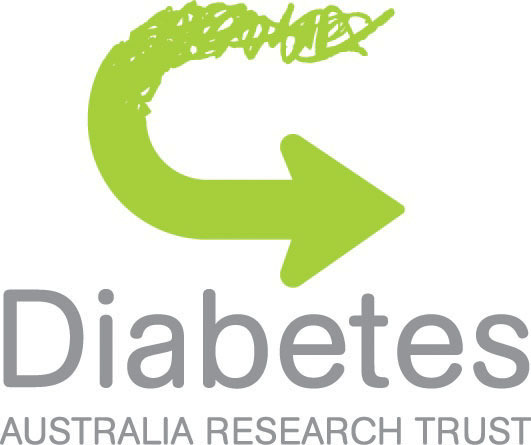 Type 1 Diabetes, also called Diabetes Mellitus is an autoimmune disease, that is it is a problem with your immune system, in my case I believe I got a virus of some sort when I was about 22 months old, my white blood cells killed off the virus but then didn’t know where to stop and decided that my beta cells in my pancreas were also BAD so they started destroying these as well! 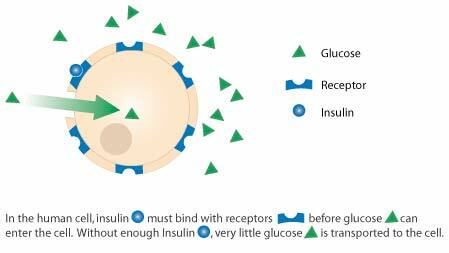 Beta cells have a few roles but the most important of these (to a Type 1 Diabetic at least) is that they pump out insulin and (sort of) glucagon. Both of these hormones have an effect on carbohydrates, insulin turns carbohydrates in your blood stream in to energy which your body can then use to power itself, glucagon turns stored energy, e.g. fats, etc. 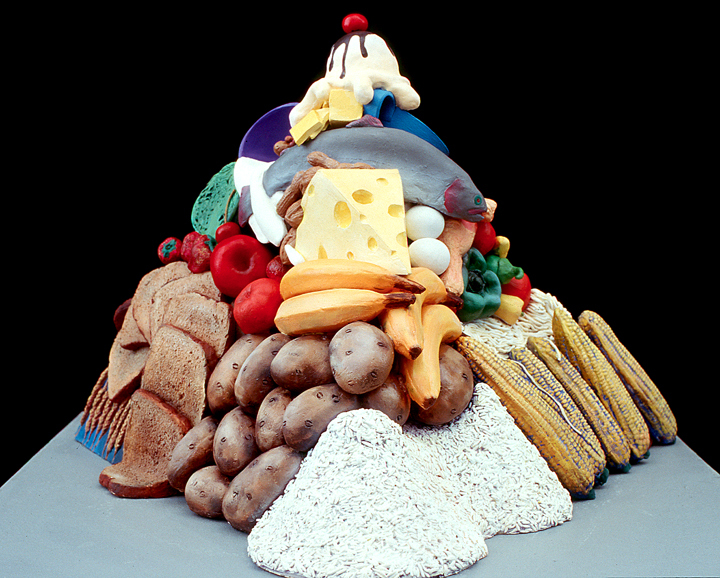 in to energy if you don’t have enough carbohydrate in your blood stream when you need it. Obviously you need energy to power pretty much anything you do, if you do not have enough then parts of your body can start malfuctioning! This is called “low blood sugar” or a “Hypo”. I have experienced a whole gamut of different types of hypo and personally find they tend to be different dependent on what I’m doing at the time, for instance if I am exercising, not necessarily full on cardio-vascular body pummeling, can be as low impact as walking (or more likely these days pushing a pushchair!) then I will tend to have a muscular hypo, that is some muscle group in my body, possibly all of them, won’t have enough energy and therefore I’ll get wobbly legs or arms or possibly collapse on the floor or else not be able to get out of a chair. So, because I am unable to produce my own insulin I need to somehow get insulin inside my body, over the years this has been by syringe and needle, plastic syringe, pen injector and most recently an insulin pump (hooray), all of these devices do pretty much the same thing but to different degrees of control, syringes were okay but you simply sucked up as much insulin as was required by eye and injected it, insulin pens were a bit better as you wound up the dose and it would give you the same dose, standardised, each time you wound it up on the pen so you knew you were getting exactly 10 units if that is what you selected. I’ll come to the pump in a minute! Of course to control the level of insulin you are giving yourself you also need to find out how much carbohydrate is in your body, originally when I (in fact my Mum and Dad) had to do this you had to catch some urine in a test tube and add some water and a pill which would then change colour to give an indication of how “sugary” I was, e.g. whether I needed to exercise to try and bring my blood sugar down or if I needed to eat something, they were pretty much the only options available back in 1976. Then they bought out dextrostix, which were plastic sticks with a reactive piece of chemistry on the end which, again, changed colour when you wee’d on it, somewhat simpler and less prone to accidents or mistakes in the process. Nowadays I have a blood test monitor, this involves pricking my finger with a lancet to draw some blood, this blood then goes on to a strip, not a world away from the Diastix I used to use but plugged in to a machine which then gives a reading as to your blood sugar, this has a number of advantages! The old Diastix used to have a number of colours for the different readings, I believe that “blue” meant your blood sugar was between 0 and 9 millimoles per litre (mmol/l the standard unit of measurement until fairly recently) green was between 9 and 12 (or something like that, it was a long time ago!) and then a range up to brown which was frankly much too sugary! Bearing in mind that a normal blood sugar is meant to be between 4 and 8 it obviously didn’t give a lot of fine control over your blood sugar. Also it meant whenever you wanted to test your blood sugar you needed to be able to pee…and find somewhere to pee! Finally because it takes a while for your body to process carbohydrate and eject it the tests were always about an hour or two behind where your body was currently at. Blood tests are more or less instant, you still have to carry kit about with you but no longer need to find somewhere private to test and the results are to 0.1 mmol/l, in this way my average blood sugar results have come down from somewhere between 9 or 12 to about 7 these days which is obviously desirable and in fact makes me feel much better about myself. So these days I need to do blood tests to check my blood sugar, guess the amount of carbohydrate in food I am eating and adjust my insulin accordingly (a bit more about insulin types another day). The pump is a fantastic device, it is programmed with the amount of insulin I need to deal with 10 grams of carbohydrate (CHO) and the amount I need to bring my blood sugar down by 1mmol/l (0.3 units I think) and when my blood test monitor tells the pump what I am eating (which I program in to it) and what my blood sugar is it decides how much insulin to give me for the food and to adjust my blood sugar to the right level and then pumps it in to me! Technology is fantastic. That’s it for now, gotta go. I’ll continue this another day, feel free to ask questions if you want more info about anything I’m talking about and remember these are my views and opinions and probably wrong on a number of counts!